There are many levels of relation with God that can be manifested by the way we pray. There is vocal prayer (the saying of your prayer), there is meditation (the thinking about and reflecting on your prayer), there is affective prayer (responding from your heart), there is centering prayer (a receptive silent prayer of consenting, which also can express a desire to be gifted with contemplation), and there is contemplative prayer (the gift of resting in the Lord). Another way of expressing it is: meditation is thinking about God, Centering Prayer is consenting to God and contemplative prayer is loving God. What does all of this have to do with Advent? I think Advent is a season that prepares us to approach and know God in ways that we can approach and know him in all seasons. When we pray, there are many ways that we, as mortal creatures, can make things happen of our own volition. We may speak these vocal prayers, decide to meditate, and even contemplate. But in mystical prayer it is God who does the moving, the choosing, and the acting. Many mystics, like Teresa of Avila, experience God in these ways after a lot of contemplative prayer. But, even with all that preparation, mystics can never make a mystical act happen. That is God's choosing. That, you might already guess, is what all of this has to do with Advent. Advent reminds us once again that God acted and still acts. Our actions are important as we choose to reach out to God in relationship through spiritual disciplines of prayer, bible reading, singing, and worshipping in community. But ultimately, it is still God who does the work. It is God who chooses us, who offers us grace and healing, who gives us wholeness and love. It is God who descends to earth as a baby, giving up power for vulnerability, comfort for suffering, security for an embracing love. Even if feeble and minuscule, all God asks of us is a turning toward Jesus. God has already done the rest. 1. Ross-Gotta's whole meditation is also online here. 2. There are many types of prayer that I'm still learning about. A robust prayer life should consist of many types of prayer. If you pray a lot, you're probably already doing more than one type without knowing it. Quiet contemplation, vocal prayer, praying a Scripture, etc. 3. It can be harrowing because it is in the quiet that we are often confronted with ourselves and our own darkness. This is necessary, though, in order to ask for Jesus to heal us. The holidays are opportunities for cheer, yes. But for many of us, they are also a time of painful firsts or difficult memories. When so many families are gathering with joy and laughter, this may be the first Christmas for some of us without a loved one who has died or perhaps we are returning to unhealthy family dynamics from our childhood. The good news is that Advent can hold all of this tension together as it reminds us that we are not going to be alone in our grief. On her blog, my friend Shannon writes poignantly about the grief many of us must face into at this time of year. But she also finds a comfort, a spark of hope, in going through the motions of the season. She says: "I am feeling the loss and loneliness that the ancient Israelites felt. I am the one mourning, seeking to make sense of the losses that are heavy on my heart. And just like those ancient children of God, I too can find hope and joy again." Check it out here. "Christ, the Second Person of the Trinity, Christ, the Maker of the universe or perhaps many universes, willingly and lovingly leaving all that power and coming to this poor, sin-filled planet to live with us for a few years to show us what we ought to be and could be." "You won’t get used to it, nor will you know its scope." So, let us never get accustomed to this flaming embrace of God or the mystery of God's arrival. This morning, as I got my four children and myself ready for church, I read two meditations on this first Sunday in Advent. Lest you think that is something that I'm normally capable of doing, they were short meditations and my children were unusually quiet for about twenty minutes. After reading those meditations and hearing my husband Matthew preach, I recognized a theme. The first Sunday in Advent is a little harrowing. The lectionary passages aren't cuddly. The Gospel of Mark talks about the sun being darkened and the stars falling when the Son of Man comes. My husband Matthew preached on the passage in Isaiah 64:1-9, when the Israelites have returned from exile to see their home in ruins. They lament their sin and cry out to God to rip open the heavens and come save them: "We are the clay, and you are our potter; we are all the work of your hand. Do not be exceedingly angry, O LORD, and do not remember iniquity forever. Now consider, we are all your people." What a strange passage for Advent, right? After we got home from church, I opened Facebook and saw a post from a friend, Jessica, who is writing a book about the refugee crisis. As part of her interviews with a Syrian refugee who has become her friend, Jessica has had to listen to and watch videos of the horrors that humans inflict upon one another. Jessica says, "Most people here in the US don't even think about it most days, this civil war that is still being waged, but I'm spending hours every few weeks with people who can't think about anything else, who can never truly rest because their loved ones are still in danger, their country still a war zone." As Jessica says, for many of us, it's easier to turn off our brains to the injustices in the world. Sometimes, in order to cope, we have to do that. But we also have to realize that for those experiencing injustice--like the ethnic cleansing happening in Syria and in Myanmar, like Christians who are being persecuted in many countries, like those in our own country who are victims of injustice, abuse, bigotry, and misogyny--turning off the brain, shutting the computer, or putting on a movie are just not options. In an Advent devotional book called Watch the Light, the introduction paraphrases Dietrich Bonhoeffer that "God's coming is not only a matter of glad tidings but, first of all, 'frightening news for everyone with a conscience." How is Advent frightening news? "Learn to do right; seek justice. The people of God were in trouble because of their idolatry and sin. And they were ignoring the most vulnerable among them: the oppressed, the fatherless, the widows. Sound familiar? Just as I can easily numb myself to injustice, Isaiah calls the Israelites to rouse themselves, to worship God only and to recognize the most vulnerable around them. I found in the Advent scriptures for today a warning and a call. The Gospel of Mark tells us three times to "stay awake." 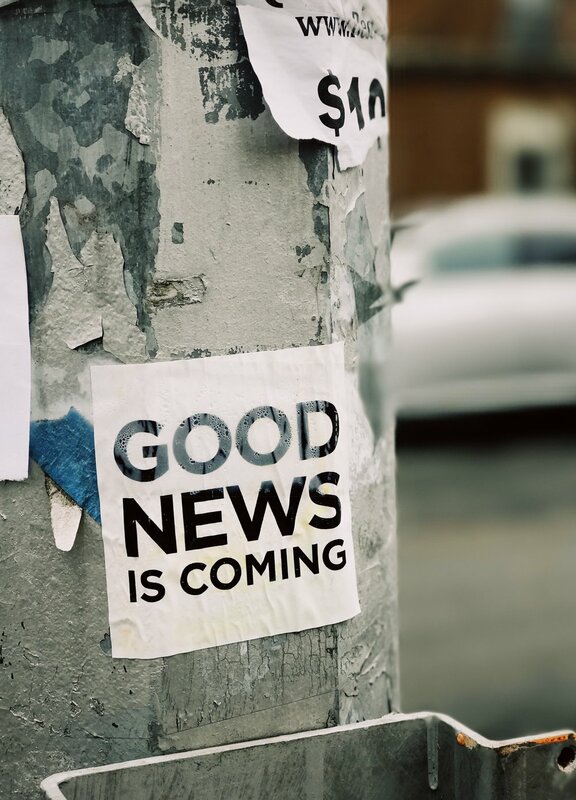 Advent is a time to be alert enough that we are frightened by this Good news, especially if we have fallen asleep to our sin, to our idolatry, to injustice. Watch the Light says that the love that was born as a baby in Bethlehem is a "burning fire whose light chases away every shadow, floods every corner, and turns midnight into noon." Advent is a time to watch for the Light, yes. But we should be aware that this Light could be a reckoning flame that burns away the darkest parts of us in order to make room for God's love. Yesterday, I quoted a line from mystic Meister Eckhart, that if we cannot be moved and changed by the birth of Jesus that we celebrate year after year, then what is the point in celebrating? I want to continue that thought today. Having been raised in a non-liturgical church, I resisted Advent when I first encountered the liturgical season in my twenties. My grad school roommate Jen had been raised in a Lutheran church and we lightheartedly argued about when to start listening to Christmas music and when to put up a tree. I would let loose in full Christmas mode as soon as Thanksgiving rolled around while she thought Christmas didn't start until, well, Christmas day...imagine that! In those early days, Advent was asking me to let go of something I wasn't willing to give up. It wasn't really about the timing of music or the tree (I'm not ashamed that I'm listening to a few Christmas albums amongst my Advent ones as I write...and our Christmas tree still goes up at Thanksgiving. Sorry, not sorry). I didn't want to give up what I thought Christmas was: presents, warm fuzzies, pumpkin spiced candles, carols, and a little bit of Nativity backlit on the church lawn. While, many of us who are Christians love to talk about the real meaning of Christmas, trying to yank back our holiday in a decidedly non-Christlike fashion, we simultaneously fill our homes with stuff and spend hours rehearsing for our live Nativities and carol singings. And while these things aren't all bad (I'm thrilled to be singing in a Christmas Eve choir for the first time in many years), we forget the full picture of Advent and therefore who Jesus was and is. In the introduction to his book "Preparing for Christmas: Daily Meditation for Advent," Richard Rohr says that we often view Christmas as the "sweet coming of a baby who asked little of us in terms of surrender, encounter, mutuality or any studying of the Scriptures or the actual teaching of Jesus." We are distracted from who Jesus really was by a snuggly baby and the smell of pine trees. Rohr says that Jesus was clear about his own message: "the coming of the 'reign of God' or the 'kingdom of God.' Any other message we get time waters it down. where love's bright beams their power display." But Advent offers us something more. Only when we have been confronted by the fullness of who Jesus is--the baby, the man he became, and his divinity--can we truly understand the good news of the God who loved us so much that he came to be among us in our suffering. And that is something worth singing about. In the liturgical calendar, Advent doesn't start until this coming Sunday, December 3. But I'm beginning today, following our family's Advent calendar. And this year, I'd like to link to (or write) a reflection each day of Advent, focusing on the mystics as much as I can. And also share a song that means something to me. Today, I am linking to a short reflection by Ilia Delio, a Franciscan sister whose writing I relied upon in Mystics and Misfits. She has written some particularly rich things about Clare of Assisi. In her reflection, she quotes the medieval Dominican mystic, Meister Eckhart, to summarize the meaning of Advent: "What good is it to me if this eternal birth of the divine Son takes place unceasingly but does not take place within myself?" You can read the rest here. What a question to ponder. 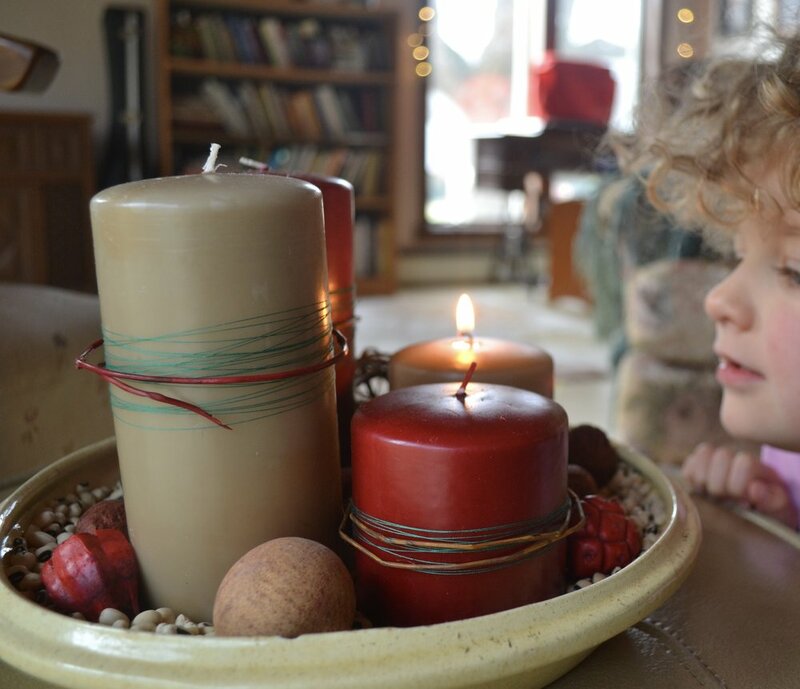 If we celebrate Advent with books, calendars, and candles, and yet do not take its meaning into our hearts and lives, what is the point? We are only a banging gong. Or maybe a pitchy flute. No he is never late"
This song is a word of hope, not just for the Advent season, but for all who are suffering, who are weary of the painfulness of life, who hear only silence when we approach God. This is part of faith: to hold on even when there is quiet. Sometimes, even underneath the quiet, there is a humming, a buzzing of life. Sit in silence today and listen for it. If you're reading this, you've stuck with me despite the fact that I've reneged on my promise to update my blog every week. Perhaps I should've said once every season instead. We have a new baby, we've changed jobs, moved states, and bought a house. And, in my scant nap time hours, my book is slowly making its way toward you, its readers. Who has time for blog updates when the trees look like this? So, thank you for sticking around and understanding. In this post you'll find some of the music that influenced me in the writing of Mystics and Misfits and some exciting book news. Mystics and Misfits: Meeting God Through St. Francis and Other Unlikely Saints releases April 17, 2018. In the meantime, if you can't wait, go over and pre-order it on amazon or at Mennomedia. "Then I will praise him with my guitar, oh my joy, my joy." Clear and lovely harmonies by nuns who sing together, sometimes for five hours a day. Always a misfit, sometimes Sufjan's music evokes an ache so deep, I want to weep for him and his pain. Because his pain is all of our pain: the awareness of our need for the God who calls us beloved. Weird, wonderful, woeful, and often disturbing, Bjork's music should always be on a soundtrack for misfits. This song. I can feel the swirling thoughts in Fiona's head. Patty Griffin should always be nearby. For any occasion. “Lord, have mercy” I am not the one to ask if this 1979 album, which is basically a Eucharist liturgy, has stood the test of time. It’s opening violin on “Prelude” is part of the soundtrack of my childhood; I would lie on my back in our living room, listening to this record play, wallowing in the deep, angsty feelings it elicited in me. Talbot started an intentional monastic community and writes about my beloved St. Francis. This album is a glorious celebration of the Eucharist, in its beautiful Catholic hippie way. 8. My beautiful diamond, from All Things Will Unwind. Song: We added it up. “I hear a quieter voice, and it says Love binds the world, forever and ever and ever, love binds the world.” I can hear mystic Julian of Norwich, speaking in that quiet voice, a truth that was revealed to her in visions of divine love. Julian says, "I saw that He is to us everything that is good and comfortable for us: He is our clothing that for love wrappeth us, claspeth us, and all encloseth us for tender love, that He may never leave us; being to us all-thing that is good, as to mine understanding." Even though it's an Advent album for children, I couldn't stop listening to it as Christmas passed and the new year began. These are messages of hope that we need in dark times. "For you, Oh Lord, our souls in stillness wait. Truly our hope is in you....We come as we are, oh heal and restore, come light our hearts." Go watch these movies if you haven't already. My kids and I loved them and the question at the end of each viewing was, "Mom, why are you crying?" They are full of beauty, heartbreak, longing, and fantasy. I dare you to watch them yourself and not cry. Enya's music has been the soundtrack to many important life events. 1)Years ago, when I was in college, I would crank up Enya as a passive-aggressive hint to my roommates when they were being too loud in the living room. My roommates still tease me about it. 2)When I was deciding whether or not to go to grad school in Scotland, it was an Enya song that decided it for me. 3)When I met my husband years later, we discovered a mutual love for Enya. 4)I walked down the aisle to the Song of David by her sister Moya Brennan (another favorite) in our wedding. 5)And when I was in labor with my babies, I listened to Enya. 6)Her music accompanied the labor of my writing this book too. I am thrilled to announce that author Jon M. Sweeney has written a lovely foreword to my book. The writer of dozens of books, Sweeney is perhaps best known as a scholar of St. Francis. Sweeney's writing has certainly inspired my own book: you'll find the evidence of his influence all over its pages. And I'm also excited that some wonderful writers are already sending in their endorsements for the book. Among them: both fantastic authors and friends Amy Peterson and D.L. Mayfield, gifted Catholic writer and writing teacher Kaya Oakes, professor, spiritual director, and author Marlene Kropf, and...wait for it...RICHARD ROHR! Yes, that Richard Rohr, author of Everything Belongs, Falling Upward, The Enneagram: a Christian Perspective, and Eager to Love. I almost fell out of my chair when I read his endorsement. It's quirky, generous, and kind, just like his writing. I can't quite believe that so many of the writers and thinkers that have influenced me in the writing of this book are aware of it and supporting it. It feels as though St. Francis himself might've prayed a blessing for me. I hope he wouldn't mind what I've written about him. I'm happy to share with you the cover to my book, Mystics and Misfits, which will be forthcoming from Herald Press in Spring 2018. One friend noted that it looked like a Medieval Irish Mystery Novel. There's some truth to that...if only because, in the book, I write letters to a few mystics from the medieval period; there is also an element of novel-like storytelling in the narrative of my life in intentional community and in the biographies of the mystics. If you'd like to subscribe to my blog, you can more readily get more of the details that I'll share in the coming months of the release and pre-order dates. For now, I hope you enjoy this cover as much as I do. A gravestone in the cemetery near our house where the daffodils are the first sign of Spring. Thank you for your support, encouragement, and patience these past many months. I certainly intended to write a blog post every week as I trudged through my manuscript draft. I imagine that many of you will understand that life, death, grief, and the joyful (if at times, mundane) tasks of keeping a family fed and loved have blocked my path. My family and I have encountered some difficult things this past year. In February, my beloved father passed away from cancer. Grief has windy, tricky roads to follow and tangled paths to cut back. I'm still in the middle of it all and finding that grief is not as simple as missing your loved one; it tugs at the very structure of who you are. In the meantime, will you continue to stick with me? I've finished a first draft (or what my second grader would call a "sloppy copy") of my manuscript, tentatively titled Mystics and Misfits. I will do my best to keep you updated on the progress of the book. I've poured strength, angst, research, and memories, both wonderful and painful, into this draft. And I'm thrilled to finally have my manuscript in the hands of my capable editor at Herald Press. Olga seemed old at the time, hobbled over by years of labor and sorrow. But it might be that I was just young, thirteen at the time, and everyone seemed old to me. I remember the darkness of her apartment on the outskirts of St. Petersburg, Russia: the natural light streaming through the gaps in the curtains, the dusty red walls, the simple decor, and the table full of food. When she got up to check the hot water on the stove, my sister and I noticed the flies buzzing around the food: cakes and treats, her best baking. I ate it anyway, not because of any mature understanding of hospitality but because I was hungry enough to eat. My father had been traveling to Russia since the Soviet Union fell, starting the first radio program in Russia since the collapse. He wanted his daughters to see where he'd been traveling, to meet the people who had moved him so much. Through a translator, Olga told us about her life. How her father had been stolen away in the night when she was a girl, then her husband too had disappeared, then her son killed in war. The secret police had stolen so many of the family members of people we'd met. There were tales of the famous horror of the Russian breadlines that stretched out for miles down the sidewalk, when food was scarce. I don't remember my dad talking much to us afterwards about the high rises we visited on the outskirts of town or the Russian children's hospital where kids with broken bones were forced to spend months in a room they shared with dozens of other children, only because their parents couldn't afford to cart them back and forth to the doctor or care for them at home. At Olga's house and in the other places we visited, I learned that suffering was a common experience that didn't deplete one's ability to offer the best of what they had. My dad visited Russia several months out of the year, becoming more and more comfortable blending into the culture he'd fallen in love with, befriending and learning from the people he met. But he never offered us an "us and them narrative," or told us how blessed we were compared to them and weren't we wonderful for helping them? I could tell that his Russian friends didn't need him because he was wealthy, they loved him because he spent time with them and wanted to share his faith with them. Even though we missed him when he left, I also knew from an early age that it was our father who needed to be with the Russian people. In Russia, I learned that we all need each other. This piece is part of a blog linkup to celebrate with my friend Amy Peterson this week (and for many weeks to come); Her book, Dangerous Territory, was just released and is available now to buy on Amazon. I read an early copy and can't wait to have the actual book in my hands so I can read it again. Amy's story will be a familiar one to many of you who grew up with a longing to save the world. Amy grew up in church, steeped in missionary biographies. These biographies inspired her to enter the mission field. But her journey to change the world was more painful than she thought and lead her back to unexpected places and to a new view of her place in the world. I'm not doing it justice: Just go buy it, read it, and give it away as a gift! I took this picture of St. Francis and the wolf of Gubbio in Santa Fe outside The Cathedral Basilica of St. Francis of Assisi. St. Kateri Tekakwitha (the first Native American saint) is in the background. For reasons that might be obvious later in this post, my commitment to a weekly blog about writing has fallen by the wayside. There are days when the writing seems to eek out of me in a slow drip, no matter how much I squeeze. But despite that, I have progressed on the book. I'm writing two sections at once, trying to figure out how they fit into the larger narrative. I'm exploring how my notions of family have been changed by my faith and commitment to community. And I'm also exploring solitude and how our ideas of prayer and contemplation might be too limited. This morning on a walk, I was listening to the podcast "Pray as you go," and the speaker read the passage in Luke 19:45-48 when Jesus clears the temple of those who were desecrating it with commerce. The speaker asks how we might see this as a call to ponder how we neglect our own sacred spaces, even the ones inside our own hearts. I thought this was an interesting notion: that Jesus needs to clear out the clutter of the holy temples of our hearts, minds, and bodies. I wonder if this clearing out looks different for each of us. For me, a strong introvert, I've had times in my life where I've hoarded my quiet inner spaces, trying to keep them free of stress, to-do lists, and the expectations of others. What I've felt God whisper into these spaces is that perhaps they need to be expanded to let others in. St. Francis knew this well. As he got older and tired from the demands that his lifestyle of poverty exacted on his body and spirit, he entertained the notion of becoming a hermit, of living in a cavern alone and spending his life in contemplation. Instead of making that decision alone, however, he asked his two most trusted confidants, Clare and Sylvester, to pray for discernment. They did as he asked and they both returned to him later with the same answer: you must stay with your brothers and continue this ministry in the world. Though it cost him, Francis submitted to their wisdom. It seemed that God was telling Francis that his desperation for solitude and complete union with God would have to happen in what Clare would later call the "cloister of the world." I wonder if God is answering my prayers in unique ways too. For some time now, I have been praying that God would help me to be open to ways of hospitality that might be difficult. Then, a few weeks ago, I discovered I was quite unexpectedly expecting our fourth child. I'm not sure if this was God's answer or a question. Was God asking me if I was really serious? Maybe the greatest gift of hospitality I can offer right now will continue to happen in the quiet spaces I expand for my children. After that, I trust that God will continue to surprise me. I am grateful for the gift and mystery of being able to share not only my heart with others but for the space that is literally being expanded inside of me for new life. May you discover how God is using your spaces in beautiful and mysterious ways. This month, I set aside my very messy beginning (Simplicity) and began the section in my book about Hospitality. My resident mystic is Dorothy Day. I highly recommend Day's book Loaves and Fishes. In it, she tells the story of the Catholic Worker movement, a movement that began during the Great Depression. They started with a magazine, trying to highlight the plight of the poor and marginalized; this lead to houses of hospitality which offered shelter to many of their friends who couldn't afford to live anywhere else. After this, they opened communitarian farms to feed and teach those they encountered and befriended in the poor city streets of New York City. Day's story is honest, funny, and inspiring. She is gracious in her telling of difficult people, honest about the mistakes they made, and fervent in her passion to love others. Her story is also terribly sad both for the time it was written and because it is still so timely. She tells of immigrants stuck in the cycle of low-income housing, rising rents, and cheating landlords. She tells stories of so many who are still ignored in our society. As someone who grew up privileged, I've know that I've often been unaware of the struggles of others, not from intention but because wealth and privilege have the power to isolate us from the struggles of others. Day's words about poverty are moving: "We need always be thinking and writing about it, for if we are not among its victims its reality fades from us. We must talk about poverty because people insulated by their own comfort lose sight of it." I love this Dorothy Day icon by Br. Robert Lentz O.F.M. I have two pieces that happened to appear on the same day this week. They both explore supernatural things but in completely different ways. My piece for Off the Page points to a new genre of YA fiction: agnostic angels. I explore the ways our fantasy genres tell us about ourselves and our existential longings. In a rather more personal piece for Good Letters called Parting the Veil, I explore the idea that the nightmares and visions I've had since I was a child might be mystical in nature. Among other things, the 11th century mystic was a composer of religious music. Here is one of many recordings of her work. A beautiful movie about the mystery and magic of the sea, and the love between a brother and sister, this movie had my children and me crying by the end. The music is gorgeous. My writing has felt like it's back on track in the last few weeks. The doubts will come and go, I imagine. But I'm grateful that they aren't sticking too closely right now. As I move closer to a first draft of my opening section, it's interesting to be revisiting the first few years of our time in community from the perspective of seven years. I see my enthusiasm and idealism with a measure of grief. I sometimes wish I was still as eager and wide-eyed as I was then. But what I witness, as I look back on those first years, is a journey through idealism to bitterness and then to a more stable and faithful resolve. There is, I hope, a measure of wisdom that comes with perspective, time, and the challenges of loving your neighbors. Such challenges have made me more aware of my own failings. This week, I took an even farther look back (before my time in community) to the moon over the North Sea in Scotland when I lived there 15 years ago. You can read that piece at Good Letters--an Image Journal blog. I also wrote a review of a book about another mystic, Catherine of Siena. As the grief of the world feels close, the writings of the mystics give me some perspective. Many of them lived in turbulent times of injustice, violence, and death. And yet, they continued to fight bravely (and imperfectly) against the pressing darkness. My review is up at Englewood Review of Books. As always, I welcome your thoughts on writing, on the mystics, on community, and on your own journey through idealism to a faithful resolve. *The painting above was done for me by my friend and artist, Matt "Redbeard" Adams. Check out his new website. He's very talented. Week 3: Am I supposed to give up writing? I'm going to be totally honest: it's been a rocky writing week. Between my writing time being cut short by early school dismissals, the creeping doubts that threaten to overwhelm me, and the spiritual questions I've been having while reading St. Francis--the mystic who refused too many words--I feel pretty blocked. Am I a selfish mother because I am sending my youngest to daycare while I pursue something for myself and my vocation? How can I write about simplicity when my house is overrun with stuff? Will I ever get my voice right? Will all of this writing just be a spitting into the wind? As I immerse myself in his life, I sometimes wonder, what would St. Francis do? Well, probably, he wouldn't write at all. I imagine he would've appreciated the Scripture that came into my inbox today. Proverbs 17: 27-28 says, "The one who has knowledge uses words with restraint...Even fools are thought wise if they keep silent." This lack of words plays into my fears. St. Francis was wary of using too many. He only wrote his Rule of Life when pushed, and he discouraged his followers from owning prayer books. He didn't encourage theological study but instead, wanted the Gospel to be simple. In his younger years, Francisfound himself disappointed by his repulsion of the lepers who walked the roads he traveled. After much prayer, God graced him with the ability to embrace and kiss a leper he saw on the road. Once Francis' “deeply entrenched habit of pushing the leper to the edges of his space..was forever broken...the order of things was turned upside down.” St. Francis prayed that God would help him to love that which repulsed him. When he was able to embrace both the literal lepers and the spiritual decay within himself, God used him to work wonders. When I read of the mystics' lives, I know that I too need to pray that God will help me to let go of my own spiritual disease. But sometimes I'm afraid that I what I'm supposed to let go of is the words, the writing, this vocation itself. That it means too much to me. Then again, in my anxiety, I tend to miss the forest for the trees. I'm thankful for the friends who remind me that following my vocation might actually help me to be a more patient mother. That the tension between my search for simplicity and my actual life makes my story more real. That a voice is found through the writing and I can't know what meaning it will have when it's all done. St. Francis might not have wanted words like I do but at least I can follow him into these prayers of letting go. My fears won't likely go away but I wonder if maybe, among many things, what God really wants me to do is give up control, to let go of the doubts and the self-absorption that swirls deeper into whirlpools of lies, turning me away from God and back in on myself. Week 2. There is a crack in everything. Writing this book means that I must try and make sense of the stories of my time in community over the last seven years. In the past few weeks, I've been recognizing a recurring theme: the crushing of my ideals. When I moved to community, I was both idealistic and naive. But it didn't take too long to realize that reality doesn't always follow our ideals. Our jobs aren't as exciting as we thought, the perfect plan we had for our lives isn't happening, having kids isn't the magical experience we hoped, we fail each other in our marriages, our communities disappoint us. It's taken me more years to understand that the cracking of my ideals doesn't have to mean the end of everything I hold dear. And, in fact, the real joys of life can be now be viewed through these broken places. Leonard Cohen wrote in his song "Anthem,"
I long to find the redemption, the joys, the light that shines through my broken ideals. A few weeks ago, I wrote a post in which I talked about the ministry of listening to one another in community, in part, so that we can help each other see what narratives we have created for ourselves and show how those self-stories are faulty or only partially true. As I work on my book this week, I recall how important the stable, healthy narratives of others have been for me, stories of those who have stayed and leaned into challenge, those who have had to get tough, who have been faithful enough to say "no" when it was time or "yes" even when it was hard. That's why we need each other. That's why we need the stories of Jesus, of the mystics, and of faithful Christians who have lived longer and have grown in wisdom because of their faithfulness. It's easier to see the light when we aren't alone. And it gives us a deeper measure of humility to see that we cannot discern what's right on our own. In case you missed it, here is a piece I wrote this week at Good Letters-an Image Journal blog. “I want a holy experience!” I say to my companions, Amy and Danielle, leaning toward them in the cafeteria of St. John’s College in Santa Fe. We are all spending a week away from our children and husbands at the Glen Workshop to get some time to write and explore the area. They seem mildly amused by my outburst, possibly because they are used to my naive, idealistic longing for a mystical encounter. We continue discussing a place called Chimayo—about a forty-five minute drive away—that is supposed to have holy dust. Ooh, holy dust, I think. I want to touch it. I want to feel the holy. Having been raised in a Christian tradition that was wary of saints, mystics, and anything Catholic (beyond a high view of worship), over the past few years I’ve been carefully releasing my skepticism, backed up too long in a tight intellectual faucet. Each year, I turn the faucet harder and things began to dump out more freely. But there is a measure of fear in this release. After all, if you open the flow too wide, anything can come out. This release of my skepticism, all of my writings about mystics, all of my recent challenges, griefs, and anxieties, I long for them to lead me to something at Chimayo—considered the “Lourdes of America,” a place of healing that attracts hundreds of thousands of pilgrims each year—perhaps an unmistakable encounter that is deep and profound. Day 1. Writing a book. As I begin writing this book on the Christian Mystics and the Misfits of community, every week I hope to send out a reflection. I hope you'll take this journey with me. I drop off my youngest at Day Care. It's a mercifully unharrowing experience. She doesn't cry and neither do I. Not yet anyway. I am writing a book now. A book with a grownup contract and everything. In a sense, I am now a working mother. My workspace (the library) doesn't open for an hour. What do I do to not waste these precious hours I'm paying for? I am desperate. So, I read my "Common Prayer for Ordinary Radicals" App. The lectionary calls us to sing a version of the Magnificat today, which is Mary's song about God's grace to her in regarding her "lowliness" and naming her "blessed." Next, Psalm 113:4-7emphasizes God's blessing on the weak. For the Lord is "high about all nations" and "stoops to behold the heavens and the earth." In this Psalm, all of us, not just those who are like young Mary, are the weak. Those of us who see ourselves as powerful will be made weak and humble in this upside down kingdom. In that same thread, the prayer today says, "Free us from the ghettoes of poverty and the ghettoes of wealth that we might meet on the level ground at the foot of the cross." What a shocking revelation to so many of us who point outward at those in poverty without looking inward at our own spiritual poverty! And what an appropriate mindset to begin writing about St. Francis today, the mystic who took a vow of poverty but refused to write much about it. During his life, Francis rarely engaged in theological questions. His life is largely revealed to us in the writings of others. In his biography of St. Francis called "The Enthusiast," Jon Sweeney says that "for Francis, direct experience of God was never an activity of the intellect--the mind--but rather a receptivity to human experience and an openness of the human heart." Francis believed that Jesus would be revealed in his life by his actions, not his words. That's a humbling prospect for this writer, who is trying to communicate truth with my lowly words. I hope that it's possible to do this with an "openness of heart." The first time I met D.L. Mayfield in person, I picked her up from the airport on our way to a writing festival. At the time, we both lived in intentional community. And though our communities were very different, over the course of our car ride I began to feel a kinship to her angsty passion for making a difference in the world and her striving to be a good neighbor. When my husband and I first moved to intentional community, longing to open our lives up to loving others, we were used to traditional church services, bible studies, and home groups. But we weren't used to the "sharing groups" that were important in our new community, which focused on each individual in the group sharing what he or she was was struggling with. Sometimes the sharing could last for hours. Many of the younger folks in our community had a difficult time getting into sharing groups. It wasn't what we were used to and frankly, many of us would've rather had each other over for dinner, go to coffee, or even have a Bible study. But over the years, I've come to realize that--though sharing groups are still a challenge to me-- our stories are perhaps the most important things we have to share. By the very act of living, we've all created our own narratives--often subconsciously--about our who we are as people. Sometimes in our self-narratives, we are the victim. Sometimes we are the hero. Sometimes we are the missionary out to save the world or the imposter who has nothing to offer. The stories of others are important to hear so that we know how to care for one another. Our stories are important to share not just so that we can be known by one another but so that others can tell us where our narratives have followed the wrong plot line. So that our friends and neighbors, people who love and care for us, can remind us that God holds the threads of our true stories. There are lots of ways to gather these stories but all of them require listening. This unrecognized ministry of listening isn't flashy. It is the very opposite of loud. But listening is a gift that all of us have the ability to offer. And it is essential to building and sustaining community and loving our neighbors. In her newly released book Assimilate or Go Home: Notes from a Failed Missionary on Rediscovering Faith, D.L. Mayfield talks about her discovery of these unrecognized ministries. Mayfield's book about her life in Portland working with and befriending Somali Bantu refugees is so like Mayfield in real life: radical, angsty, soul-baring, raw, and familiar. By sharing her journey from do-gooder to good neighbor, Mayfield urges all of us to reevaluate our motivations, our idealism, and our comforts. She urges us to find those hidden ministries, like the ministry of Funfetti cakes that she bakes for her neighbors when she doesn't know how else to help. These cakes come to represent the ways we really love one another: through the often menial and hidden tasks of showing up and listening. There is literally no bread to break this evening as we gather together. The serving table, stained with the juices and sauces of potlucks past, is full of pasta. Five pasta dishes, to be exact. That would be fine if there were more than six families bringing meals for our weekly Friday night potluck. We are gathered in the Common Building of our intentional Christian community on 180 acres in the rural Midwest. We share the physical and emotional burdens of land, finances, and housing. We make decisions as a community. We come together around the shared value of Christian faith. To some, this can seem like the ideal church community: living locally and communally, caring for the earth, welcoming the misfit, and crying for social justice and peace. But community is complicated. And as we are all sagging from the weight of the farm season, our jobs, and nurturing our children, pasta, at least, is simple. We help our children pile their dishes with vegetable pasta, mac-and-cheese, or spaghetti meat sauce, knowing whatever is heaped on will be scraped off into the compost, half-eaten, in a few minutes when they run outside to play. And we sit and eat together. Conversation can be easy. We have history together. We have spent the week sharing prayer requests, joys, and the mundane tasks of daily life, like farm work or childcare swaps or Saturday projects. Living in intentional Christian community is like being a part of a family, one that you choose, but then you can’t decide if you want to keep choosing them or not. But it can also be awkward. Today I mailed my signed contract to Herald Press. It feels official now, and yet the great portion of work on this book is still ahead of me. If you've known me for a while, this book contract with a Christian Non-Fiction (CNF) publisher might come as a surprise. I've been writing seriously for over 15 years now but much of my writing has been nestled in story, magical realism, and fantasy fiction. Many of my friends know me as a writer of YA fiction. But a few years ago, my friend Jessica Goudeau--who has been my kindred writing friend for nearly 20 years--brought together some fabulous women who were all in various stages in their writing careers in the CNF world. Even though I saw myself as a fiction writer, I tagged along. I began to follow the lead of my writer sisters, submitting pieces to places where they had connections, learning from their voices and gracious editing of my work. Eventually, I became a regular contributor at Good Letters. When I wrote a piece there about the mystics and motherhood, the idea of connecting my stories of life in intentional community with the Christian mystics began to capture my imagination. At the Festival of Faith and Writing in April, my friend Amy Peterson quietly introduced me to the editor at Herald Press. A few anxious weeks later, they offered me a contract for a book. I have a year to write it. Thanks for joining me here. If you've missed my updates on twitter or facebook, here are a few of my recent writings around the web. I also have an upcoming pieces at Off the Page, The Local Church, and a book review at Englewood Review of Books. If you haven't already, please consider subscribing to my blog. You'll receive periodic updates from the blog and the closer it gets to my book coming out, I will be sending out some newsletters.